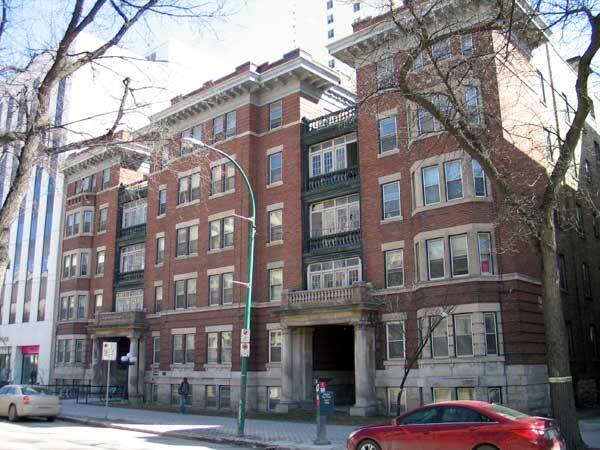 No one knew her exact age except for her best friend Ruby, another neighbor here at The Burnside, our six-storey art deco apartment building that we all lived in. Enid was distinguished and healthy, but dementia grabbed her sensibilities in her last year. Because she was single and had no family, she was sent to a nursing home far away from The Burnside and her friends, a good forty-minutes drive on the highway. 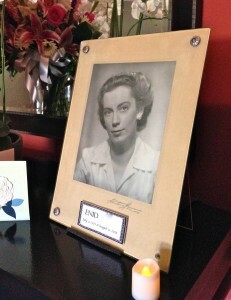 Enid’s memorial service was different than those I’ve been to, particularly because she had no living relatives, no one to eulogize her life from personal experience, and no one to shed tears the way primary mourners do. I cried plenty when I received the news of her death, but somehow that’s not the same thing. Or is it? Enid’s friends didn’t want to speak at her service, so I was asked to say something. I spoke about being Enid’s neighbor for over three decades and what she meant to me. I spoke about the night we spent together one New Year’s Eve, sharing stories while she polished her late mother’s silverware, an annual ritual. I spoke about the answer she gave me when asked how she maintained such a close friendship with Ruby for over 60 years. As I looked out into the faces of Enid’s few mourners–just eleven neighbors from The Burnside, her cleaning lady, and our superintendent–I thought about the sense of community we had created, complete with love, hate, and disparity. “Does anyone want Enid’s photographs?”Enid’s photographs were respectfully scattered about the memorial room as if it was a staged set. We didn’t know who the people in the photos were or their importance to Enid. But there they sat, and what to do with them now was our dilemma. These photos may have been of her parents, or treasured aunts and cousins. We shall never know, now. What we did know was that no one wanted them, not even Ruby (who is also single with no family and 95 years young). Perhaps for Ruby it is just too painful a reminder of what she will miss. I wonder how long she will last without Enid, her best friend, to walk with and talk with and share meals with, especially on Christmas Eve and New Year’s Day. An 8×10” portrait of a younger Enid now sits in our lobby, with a battery-operated votive candle beside it. Soon it will be removed, tossed into the trash and driven to the city dump where it too, will become ashes. Questions swirl around in my mind. This entry was posted in Marla Lukofsky and tagged advanced directives, death, funeral, grief, isolation, loneliness, mourning by humanemedicine. Bookmark the permalink.